Caldwell-Pope leads Lakers to comeback win over the BullsKentavious Caldwell-Pope scored 11 points in the final four minutes of the fourth quarter leading the Lakers to a 103-94 comeback win over the Bulls on Tuesday. Gomes caps Indians comebackYan Gomess hit in the bottom of the 13th inning gave the Indians a 9-8 win in a game in which they trailed, 8-3, entering the bottom of the sixth inning. 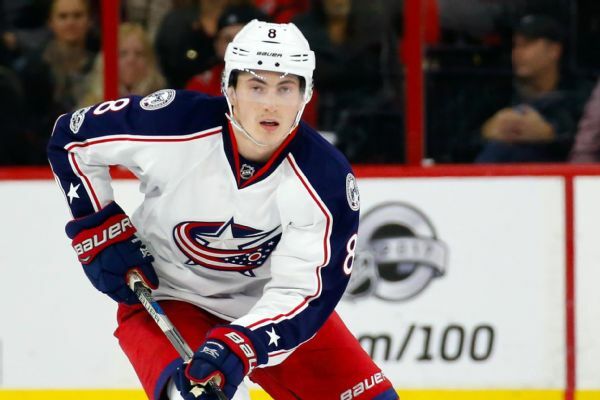 Columbus Blue Jackets coach John Tortorella says defenseman Zach Werenski is "day-to-day" after leaving a game with an injury. Corey Pronman checks in on the Blue Jackets' rebuild, including a breakdown of strengths, weaknesses, their path forward and how soon they can contend.